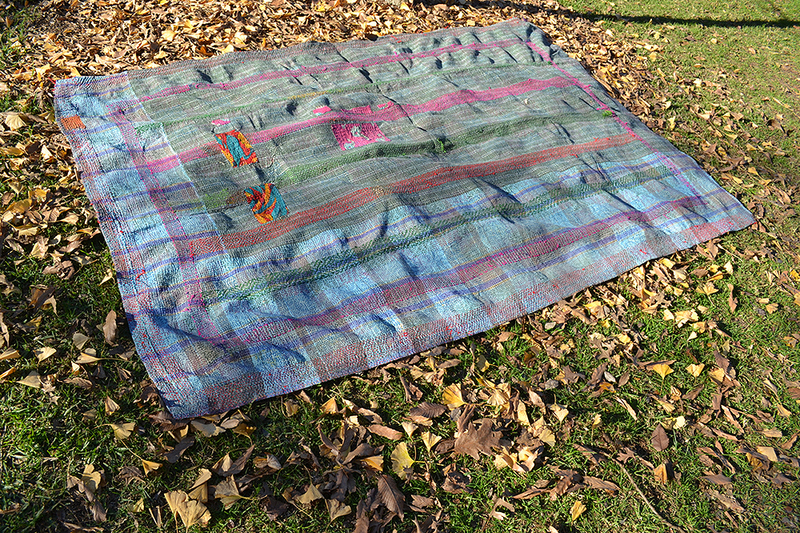 Rainbow hippie quilt. 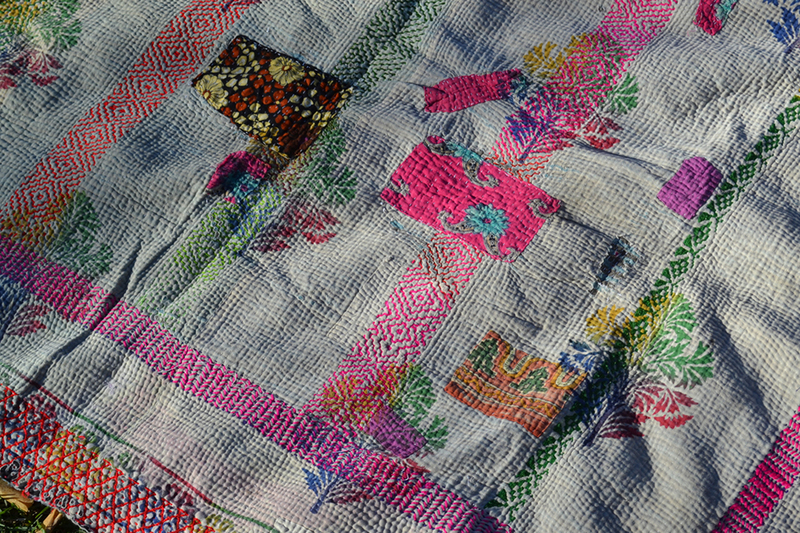 Assortment of colourful patches in this gorgeous rainbow patchwork kantha combined with kantha hand-stitching, fluoro threads and rainbow print – an over-dye of the original saree, and completely reversible design. 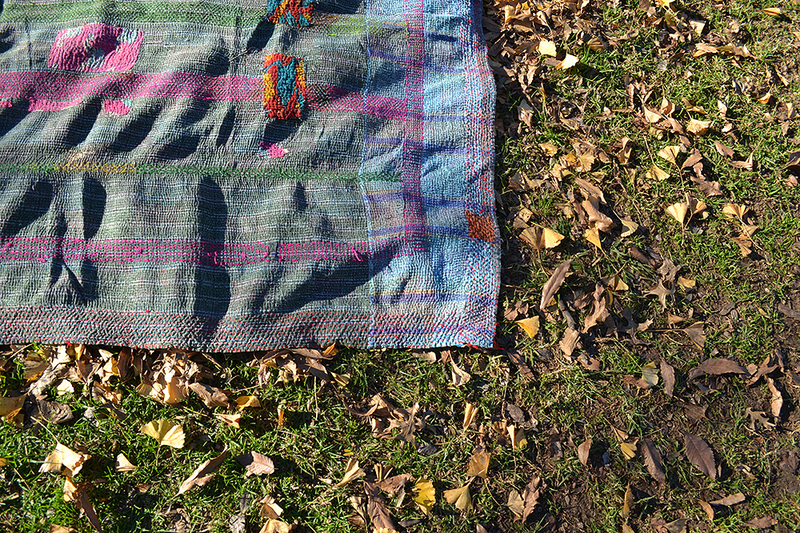 We are in love. 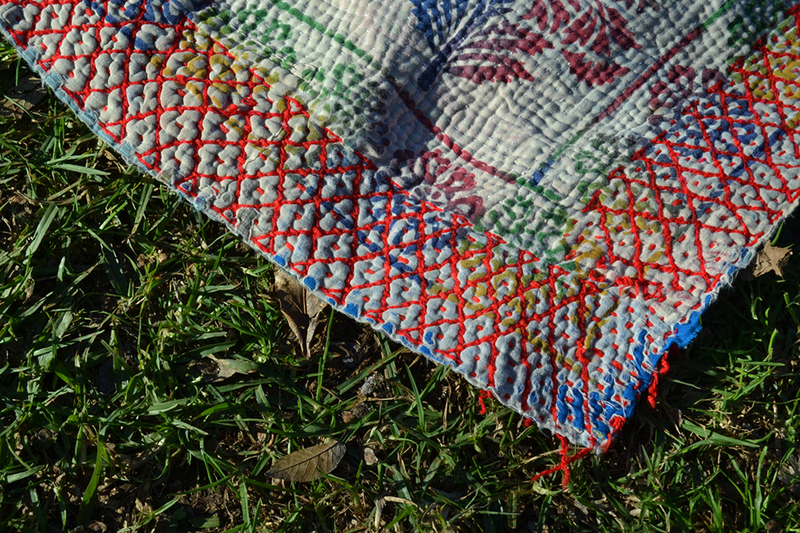 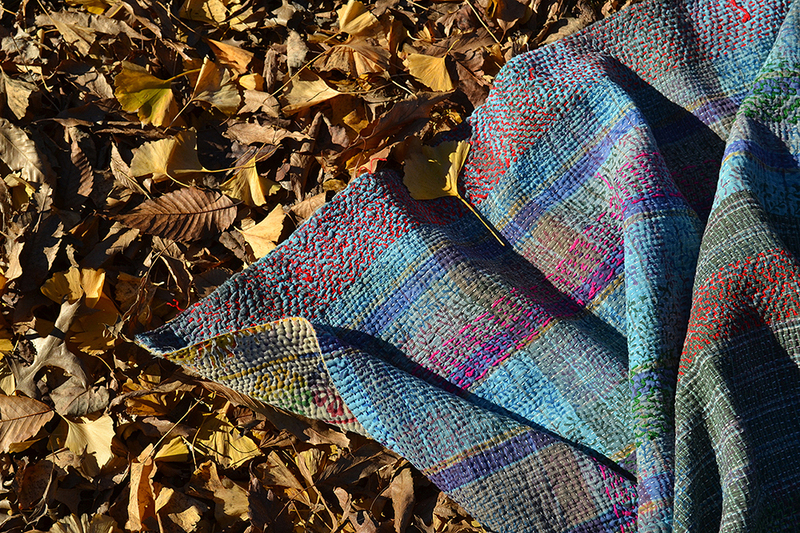 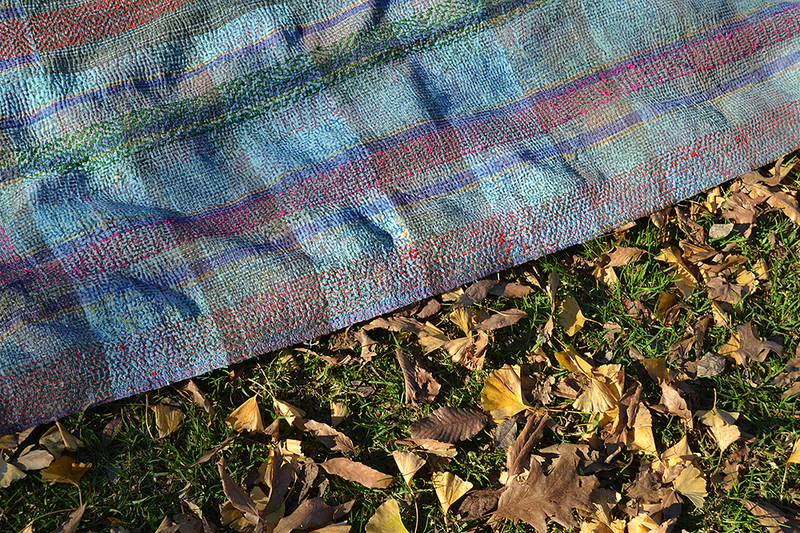 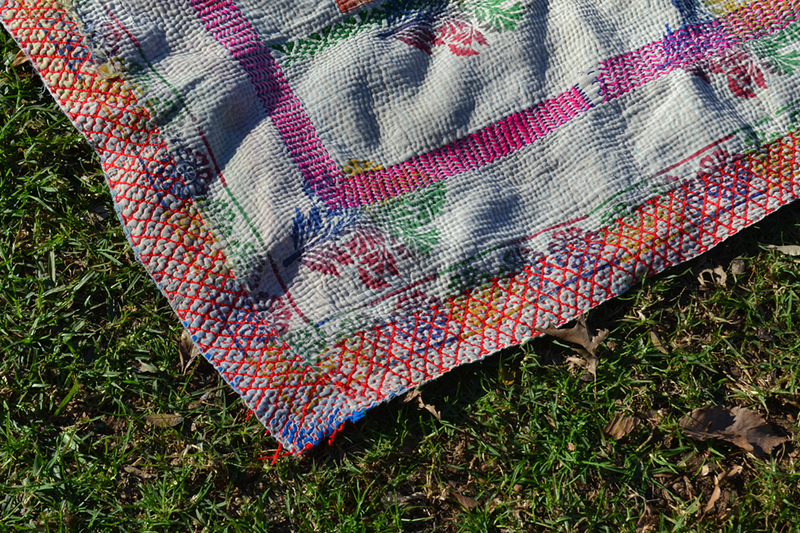 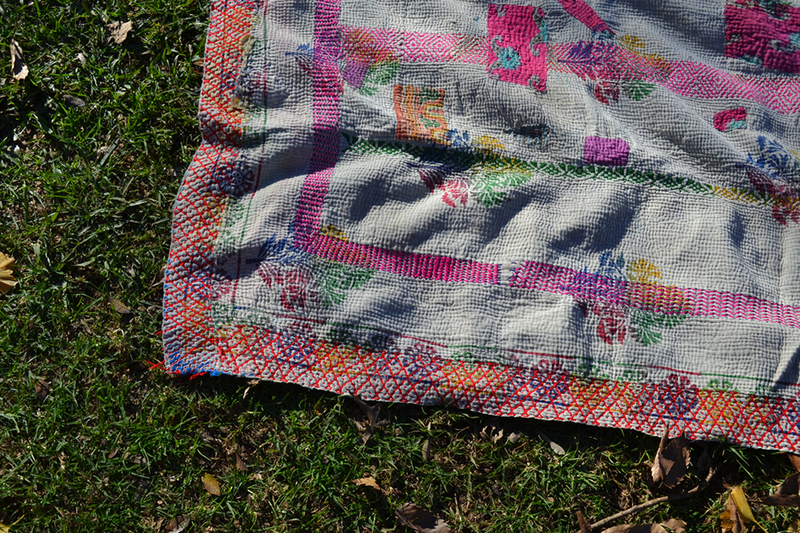 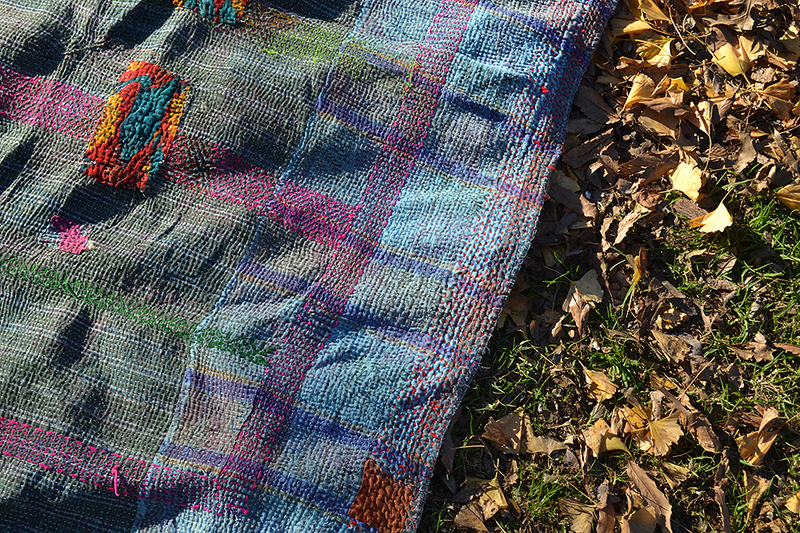 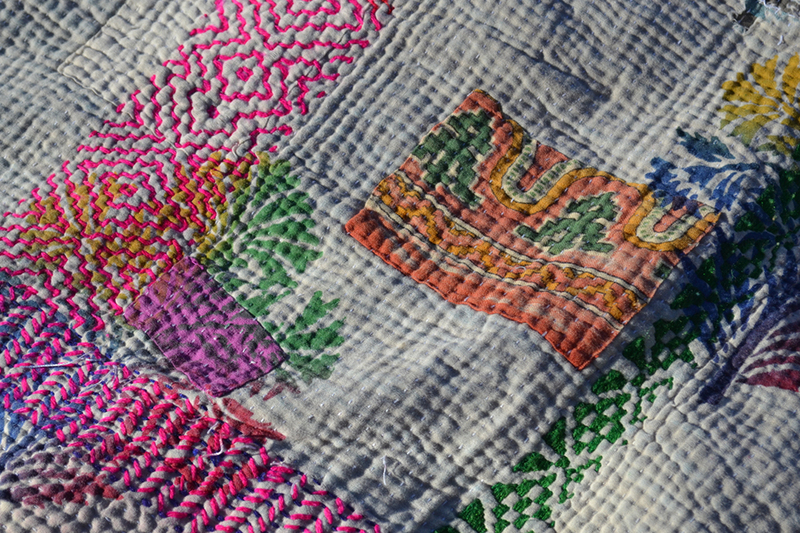 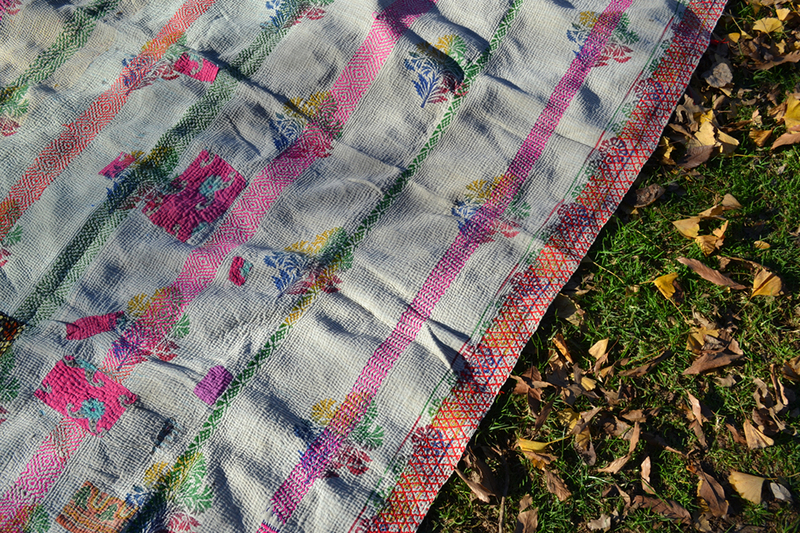 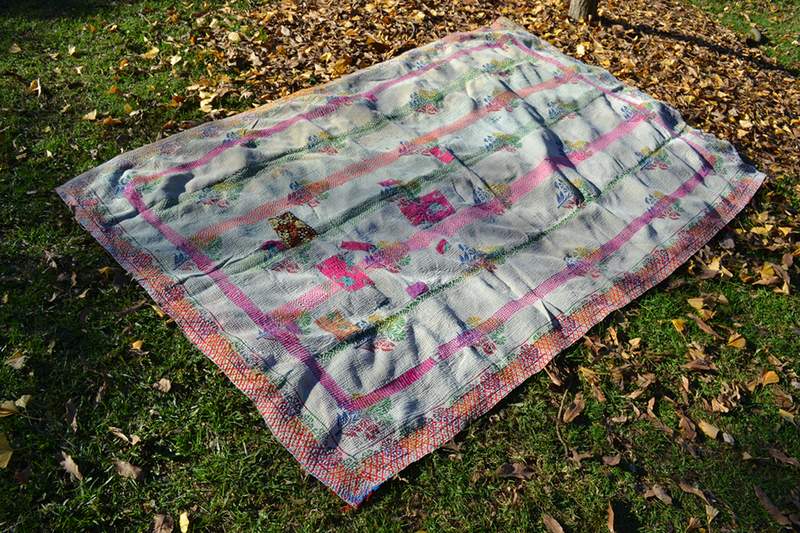 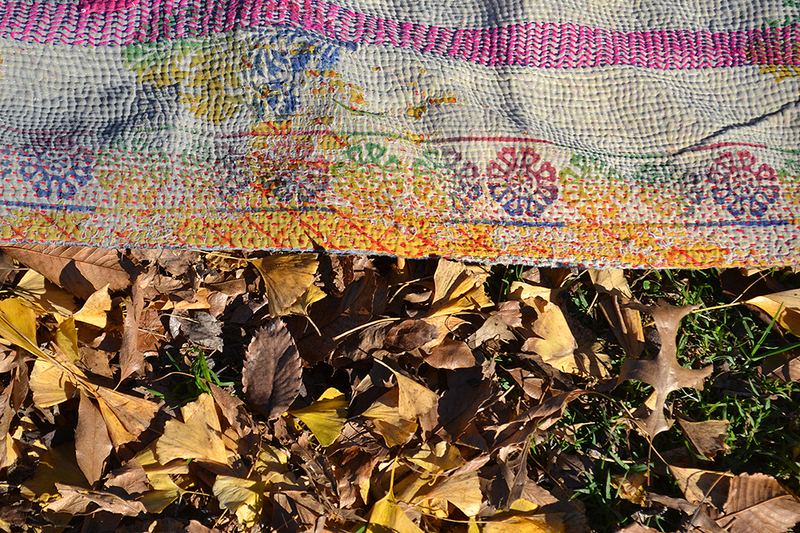 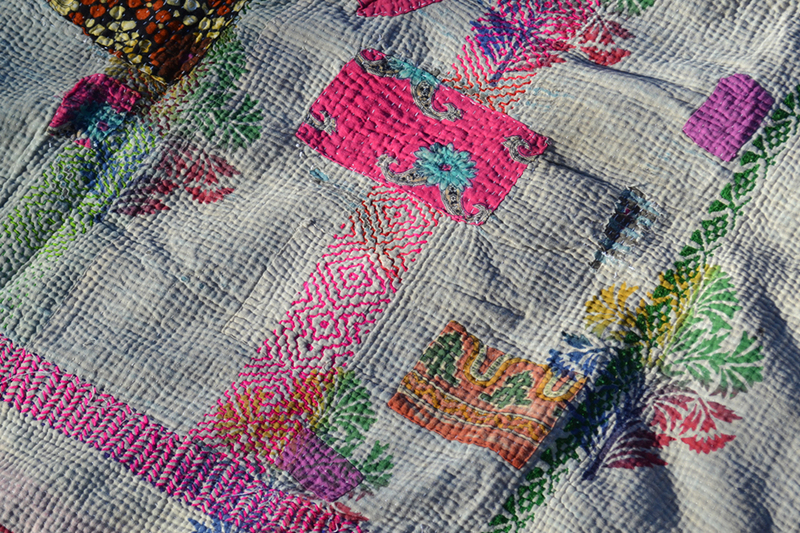 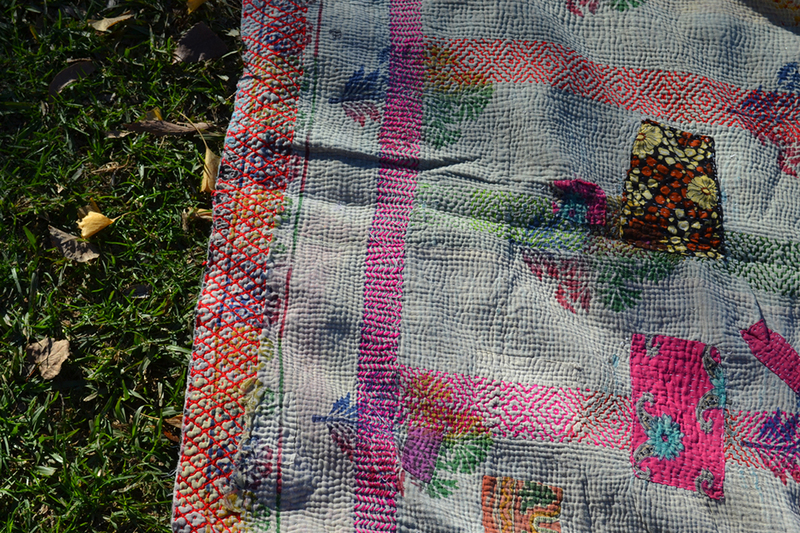 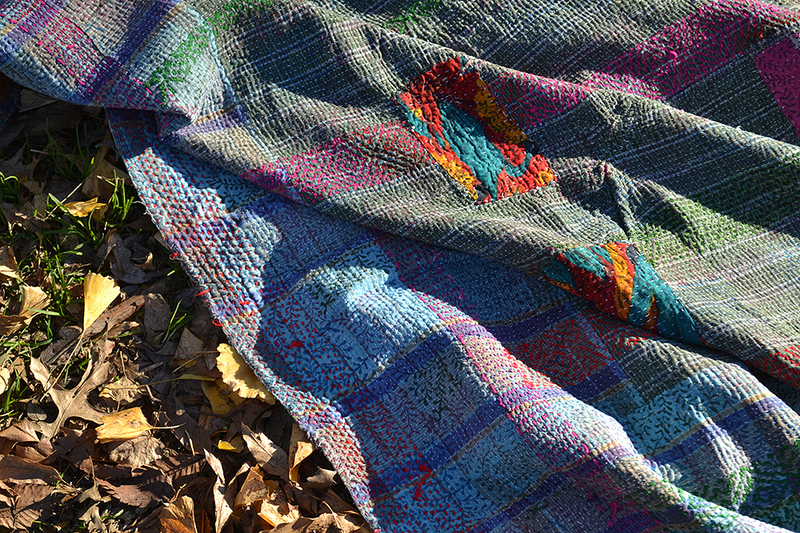 Visit The Kantha Project Shop for more colourful handmade vintage quilts and throws for the home, porch, bedroom, living room, dining room, courtyard or picnic!